This recipe is something I’ve wanted to try for a while, but I’ve been nervous that it would disappoint me. 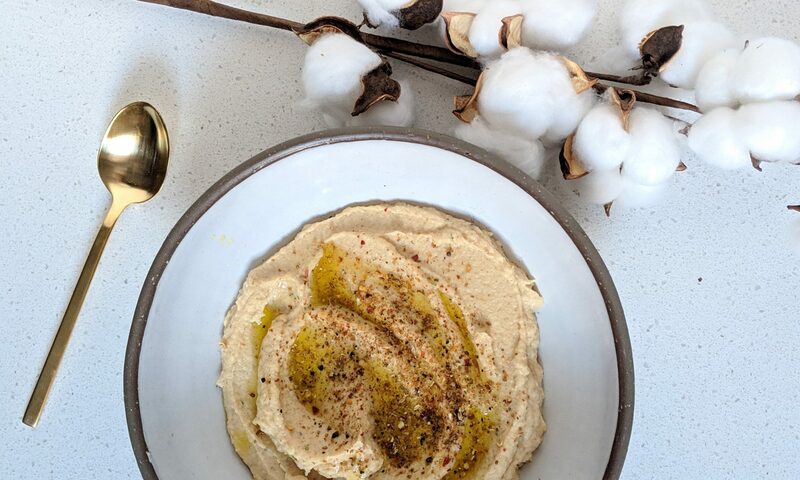 I used to be an avid hummus maker and eater, so I didn’t want to make “hummus” that tasted nothing list hummus and pretty much sucked. 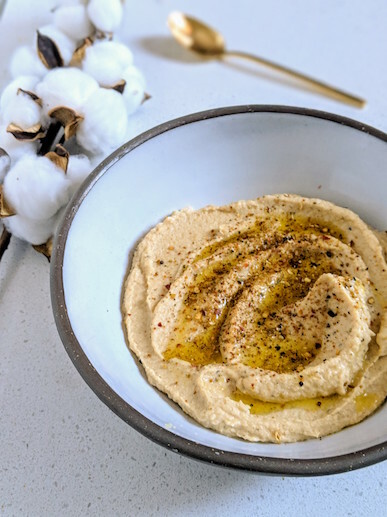 This cauliflower hummus does not disappoint. In fact, it can fool your friends and family that it’s actually the real deal. 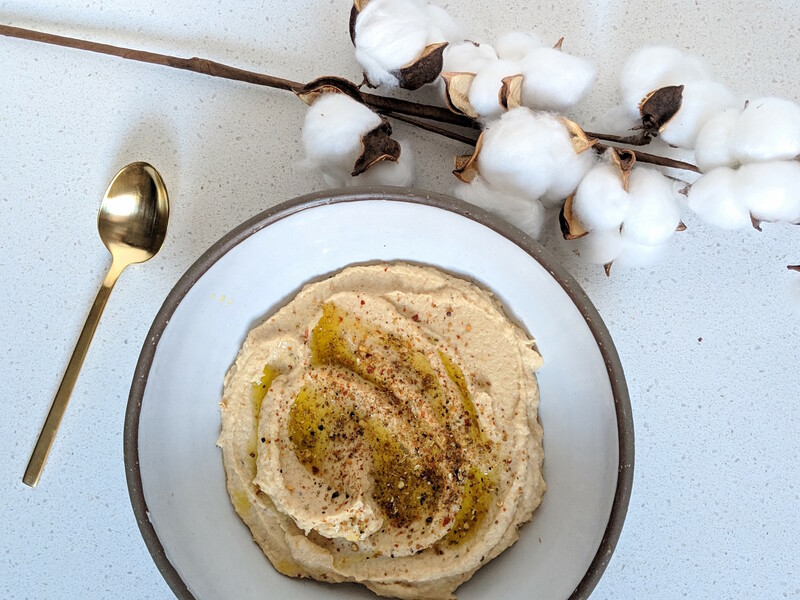 I took this Cauliflower Hummus over to my mum’s house for a birthday party. My toughest taste testers were there: my pregnant sister who is currently opposed to garlic, my brother-in-law who is pretty easy going but is sometimes tough to please when it comes to healthier foods, my brother and his fiancee who are picky eaters. Well I will have you know that they polished off the bowl of cauli hummus. My sister was convinced there were chickpeas involved, my brother-in-law thought it tasted as good if not better than regular hummus, and my brother and his fiancee were both pleased with it. Now, if that’s not a win, I don’t know what is. Hummus and veggies or crackers used to be my go-to snack. When I first started having digestion issues and linking it to the food I was eating (it took a while to make this connection) beans and legumes were the first things I eliminated from my diet. Chickpeas, by their legume association, were one of the first to go. When I tried re-introducing chickpeas 4 weeks after eliminating them, they have my body a HARD NO. I had gas, bloating, and the worst stomach pain of my life. Stomach pain so bad I couldn’t stand let alone walk. Now 6 years since eliminating chickpeas, I have had them once. I tried one falafel ball at a dinner party, and I felt completely fine, but they will still be on the eat with extreme moderation list. Extreme moderation, aka once every six years, haha! This recipe is perfect whether you are following a Paleo (legume-free) diet, low carb, keto, or low lectin. Plus because everything is roasted, it’s easier on the digestive system. In a stove to oven safe dish (I use my cast iron casserole), heat ghee over medium heat. Once the ghee is melted, add in head of garlic, cauliflower florets, salt, pepper, cumin, and smoked paprika. Stir and toss everything to evenly coat. Put a lid or foil on the casserole or dish and pop it in the oven. Roast everything for about 20 minutes. 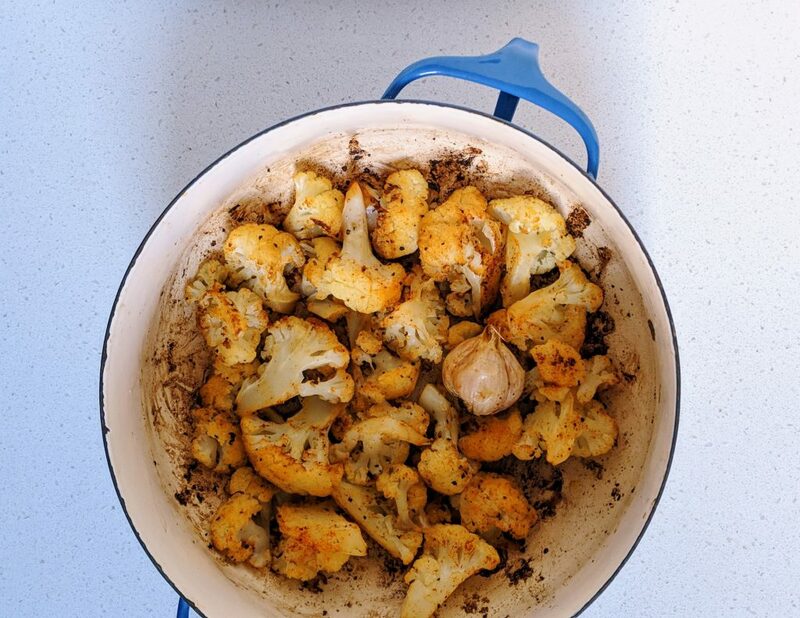 Remove the lid and continue roasting for another 10-15 minutes or until everything is golden and the cauliflower is fork tender. In a food processor or blender, add the juice and zest of the lemon, tahini, and roasted cauliflower. Peel the skin off of 4 cloves of your roasted garlic, and add those to the food processor or blender as well. Blitz everything until its smooth like hummus. Taste and adjust seasoning accordingly, you may need more salt or pepper. You can also add more garlic or chili flakes to add a bit of spice. Serve along side veggies and/or crackers or use as a new sandwich spread! Keep in an airtight container for 3-4 days.